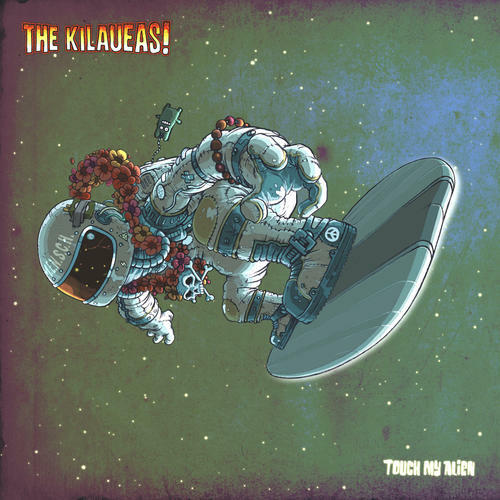 This being The Kilaueas' 20 year anniversary makes it a perfect time to publish their fifth and so far most sophisticated full length album: Touch My Alien (read: Taj Mahalian). Released as 180 gram vinyl this record once more presents very tasty surf instrumentals in classic 60s style. The 17 tracks are enriched with The Kilaueas' special sense of humor. They take us into space ("The Ace Of Space") and some other directions from Spaghetti Western to Reverb Lounge. 14 tracks are original compositions by the The Kilaueas. The LPs are limited to 500 copies, each coming with a digital download code. A must have for surf fans! [2:52] The Men From M.E.N.S.C.H.